"Some of best stories and best written books I have read in several years." Book, For Honor: Laurel’s father has always been in a perilous business. Being a spy in seventeenth century France often causes him complications. This time his work has followed him home . . .It is not just her father whom his arch-nemesis—the ultimate traitor to France—is after. The fate of France hangs in the balance. Even the king’s best musketeers and France’s premier spy may not be able to save the kingdom, let alone live through the adventure. Use code NG32D for For Honor. What would you sacrifice to save your country? Your honor? Close your eyes for a moment and imagine yourself transported away from the stress and worry of your everyday life to another time and place where honor is everything and friends are forever. Picture yourself in France in the time of the musketeers, when honor defines who you are. It is 1638. It is a time of intrigue and violence. Meet the musketeers. Be swept up in this battle. Laugh with them; ride with them; fight for all you hold dear with them as they race against time to save France and their king, and to come to terms with the lady musketeer who insinuates herself into their tight-knit group. Delve into a new, modern look at the adventures of the musketeers, with characters who will become a part of your life. Be careful, as you cannot stop once you begin. Join the adventure and find out. Kat Jaske, author of five books, is an avid runner, and helped her Upper Arlington High School cross-country team win the 1990 Ohio state championship. She is a French and English teacher in Green Valley High School in Henderson, NV. She also enjoys writing, fencing->>>, singing, and playing piano. Kat lives in Las Vegas with her black cat, Minnesota->>>. "I guess we could start with what people often start with--that’s to say we’ll start at the beginning." Kat Jaske. Upper Arlington High School graduate. All books are available as Amazon books, and you can read free books online here by clicking free downloads on the top right menu. Click the shop e-books button on the left and you can buy some of Jaske's books as e-books, any format, at great low prices. While you are on the smashwords.com e-book site, you can also shop thousands of other low-cost ebooks. Hundreds of these ebooks are available FREE! Swashbuckling adventure. Honor. Lady musketeer, historical fiction, musketeers, sword fighting, fencing, spies, traitors, heroes and heroine. Great story. Great writing. 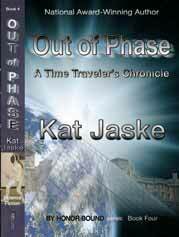 Author L. Kathleen Jaske also known as L. Kathleen Jaske, Kat Jaske, Kathleen Jaske, and as Lisa Jaske. Book details: For Honor is printed in a nice, readable font of Times New Roman, size 11, and contains 278 pages and 107,168 words in the story. The book cover features Langeais chateau, or Langeais castle, in France. The book Gambit features Azay le Rideau chateau or Azay le Rideau castle and Chambord chateau or Chambord castle in France. These books are wonderful books to take with you on your vacation to France and the pictures of the castles give you a real souvenir of France. These historical fiction, swashbuckling adventure books feature musketeers and sword fighting in seventeenth century France, the time of King Louis XIII. They feature the lady musketeer, Laurel D'Anlass. See ebay for special book sales offered by greatbooksbykat (great books by Kat). We don't have the www.katjaske.com site. The official web site for Kat Jaske is www.forhonor.com, also accessible through www.forhonor.org.